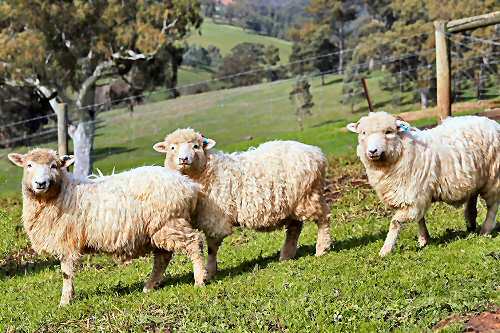 Like the Drysdale, the Tukidale breed originated from a Romney ram whose fleece showed the medullated or hairy characteristic distinctive of carpet wool sheep – though it was caused by a different gene. This occurred in 1966 on the property of Malcolm Coop at Tuki Tuki, a locality named after the Tuki Tuki River of Hawkes Bay in the North Island. It was a time when there was a demand for fleeces of this type especially for the manufacture of carpets. As with the Drysdale, horns are linked with the hairy fleece and the rams have heavy horns and the ewes short spiky ones. These characteristics are dominant. The wool grows quickly and the Tukidale sheep need to be shorn twice a year. 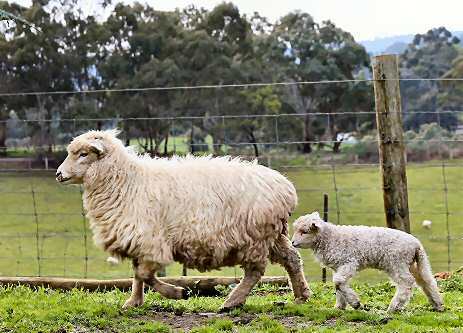 Although never particularly abundant, once the demand for hairy fleeces dwindled so did the number of Tukidale sheep, and today it is understood that there are no sheep of this breed left in New Zealand. However, some Tukidale rams were exported to Australia from 1975 where they were mated to Romney ewes, from which an Australian population of Tukidales developed. A Tukidale Breed Society was formed in Australia in 1978. Today however, the Tukidale is classed as Critical by the Rare Breeds Trust of Australia. of Thornbury Park Tukidales for information and photographs of Tukidales in Australia.